We will be doing the first season, and if we decide (and the editor) that we should make season 2, then we probably will do that as well! You must turn in your scripts by the due date, any later I will think twice about your role. You have to be very active, mostly on weekends.But you still have to respond when I write you because It could be important. You could make episodes late if your late with your script! What I'm most worried about Is the editor, the editor has only about a week editing each episode. Which is pretty hard. So work hard! You don't have to work on Holidays, or special days for you either. 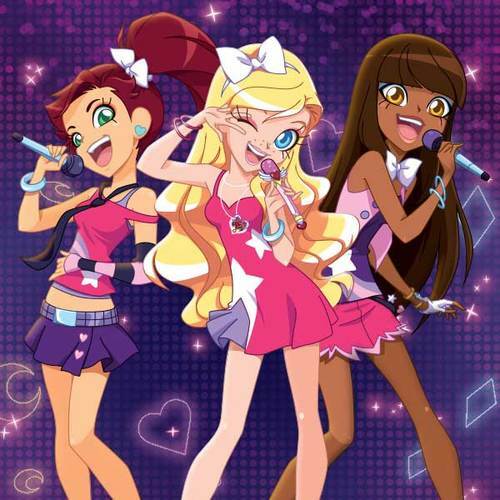 LoliRock Is about a girl, that Is encouraged to join a band called "LoliRock" as lead singer, she tries but everytime she sings, something weird happens. But when that weird magic happens, Talia and Auriana know it's her. They tell her about LoliRock, and how if she joins. The weird things that happens when she sings will stop. Not only has she joined a band, she's joined a magical girl group. Talia and Auriana show her how to transform, and that's how these friendships in LoliRock begin. Thank you everyone! Hope you audition! Iris was born on Ephedia, where she is the daughter of the King and Queen of Ephedia, making her the princess of the kingdom. However, when she was a baby, her home was attacked by the evil Gramorr, where he took control and overthrew her parents as ruler. In order to protect her, the Queen sent Iris to Earth in order to keep her safe. When Iris arrived on Earth, she was unaware of her true heritage or of her magical powers and grew up for most of her life, believing to be a regular girl. Iris was adopted by her Aunt Ellen and lived in Sunny Bay, where she became best friends with Nathaniel. She eventually develops strong feelings towards him as she got older, but is too afraid to admit how she feels. Iris also gained a rival in Missy Robins. Iris also loved to sing, but she realized that every time she sang strange thing would always happen. 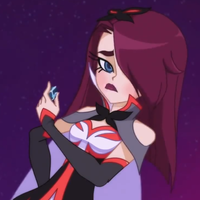 She had almost given up on her dream to become a singer, until Nathaniel told her of auditions for a new band called LoliRock, where her life soon changed forever. [grunts as she tries to get off from Amaru] Oh! Woah! [falls on the ground before standing up] Okay, what is going on? Who where those people attacking me? Why did my singing do... Whatever it did? [sees Amaru transform back to his original form and gasps] And what is that? Talia was born in Xeris, making her a princess. When Talia was young, she didn't take training her powers seriously and instead liked to enjoy herself. She also has an older sister named Izira, making Talia the second born princess. When Gramorr started to take control over Ephedia, everyone was worried but believed Izira would be able to defeat him due to her immensely strong magical abilities. Due to this, Talia believed that there wasn't anything to worry about, until the day where her life completely changed. One night, Talia tried to sneak away to attend a Crystal Lights festival, but her sister had soon caught her. Izira warned Talia that it was dangerous for her to leave and told her to take training her powers more seriously. 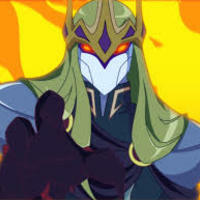 Talia however ignored her claims, believing Izira would defeat Gramorr and everything would be alright in the end. We all do. We were wearing ours when we came to meet you in the alley. It will help you boost your magic. Now, just call out your name, and your realm. 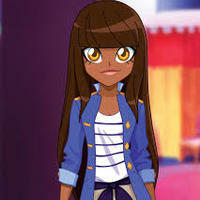 Princess Auriana is a main character of LoliRock. 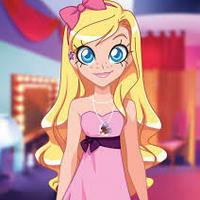 She is the princess of Volta and one of the members of the LoliRock band. She became best friends with Iris and Talia after she and Talia chose Iris as the band vocalist. Auriana is boy-crazy, but her main crush appears to be Matt. [holds Amaru up in the air] The pendant on your necklace. It's magical. [Iris lifts her pendant] Once you activate it, it helps you transform into your magical dress. Nathaniel is kind and caring. 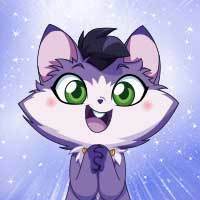 He is also quite supportive as he encouraged Iris to join LoliRock for her love of singing. He also is revealed to have feelings towards Iris and cares deeply about her. He enjoys spending time with her, but is quite nervous in expressing his feelings for her at times and shows to constantly blush when around her. However, he dislikes it when Doug interrupts moments between him and Iris or when she is forced to be called away. Overall though, Nathaniel is shown to be understanding and patient regarding these situations and is happy when Iris does return and they can spend time together. You have a beautiful voice. [gives her a flyer] Besides, I saw this on the cafe's bulletin board and thought of you. He is a kind boy. He is also observant as he is thoughtful. The first time he saw Talia she was reading a book and so he decided to give her a reading light so she can read even at night. 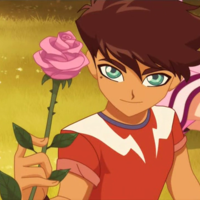 To that he is generous as he would often give Talia drinks and flowers. Hey, Talia, uh.. I was just wondering.. Will you.. Uh..
Doug is a fanatic. 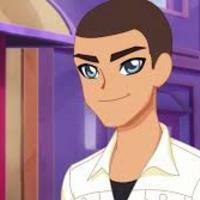 He likes gushing over the different things and happenings about LoliRock. Doug also appears to be gullible sometimes due to his innocence. Oh, yes! 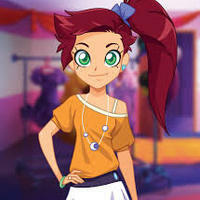 The LoliRock blog Is certainly amazing! Praxina is a very affirmed person determined to obtain the Oracle Gems and destroying the five Princesses. She loves to belittle people, especially her enemies and her twin brother Mephisto, the latter of whom she reminds that she was born before. She is extremely intelligent, cold, ruthless and hates the Princesses at her heart and wishes to destroy all of them. Her attacks tend to be demonstrations of raw power with explosions and large summoned monsters. Talia of Xeris. I heard you'd escaped but I thought they were joking! And who is your little sidekick? [laughs with a hand positioned near her mouth in a haughty pose] Never heard of you. Mephisto is a comic relief and joker, which is not your typical villain. He sometimes acts cheesy, incompetent, bumbling and has a short attention span, but can be capable of being intelligent despite his dimwittedness. Mephisto enjoys destroying things, and prefers elaborate spells and tricks and bragging about how he's a genius. 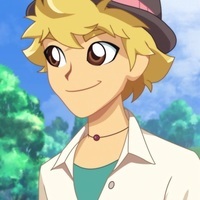 He is also less coordinated, and has a mischievous and childish personality that can easily distract him from his and Praxina's missions at times. He is always loyal to his sister and would do everything for keeping her with him. 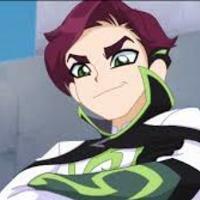 [laughs after blasting a car up in the air that Iris hid behind] I like this place! So much stuff to smash! [chases Iris into a dead end after casting multiple offensive spells with Praxina] This is way easier than I thought it would be. Gramorr was cruel and power-hungry. He wanted all the realms of Ephedia under his reign. He disliked failure but managed to keep up with the fiasco of Mephisto and Praxina. At one point he got fed up with the twins and replaced them with another pair of evil twins, Deinos and Kakos. Gramorr had a strange habit of talking to his pet, Banes. He would often talk to the beast as if it was his equal. He could show cowardice at times like when the twins showed her Izira's Medallion, fearful of Iris's magic passed Shanila, and finally when Iris achieved a magic with the help of the crown. During this battle the Queen's image appeared in his sight causing him to tremble. Mephisto! Praxina! [Two large communication crystals appears on the ground, revealing an image of Mephisto and Praxina in their respective pillar] I'm listening.